This meeting is for Managers & Coaches only, not parents or players. 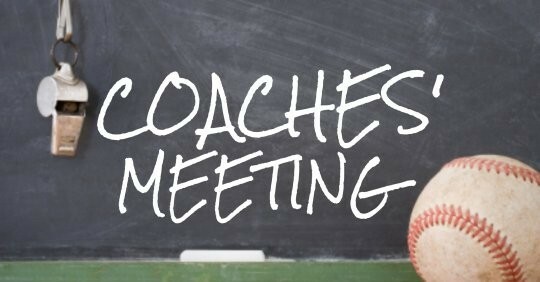 The Coaches meeting will be held on Wednesday, February 27th 2019. It will be held at the Macomb Township Parks and Recreation building located at 20699 Macomb Dr, Macomb, MI 48042. Each team should have at least one Coach attend, preferably the Manager. Everything that relates to the season will be discussed and questions answered. Below is the time breakdown for the divisions. "My husband volunteered as an assistant coach. Would it be okay if he attends?" "Yes. This meeting is for all Coaches. Managers & Assistants."